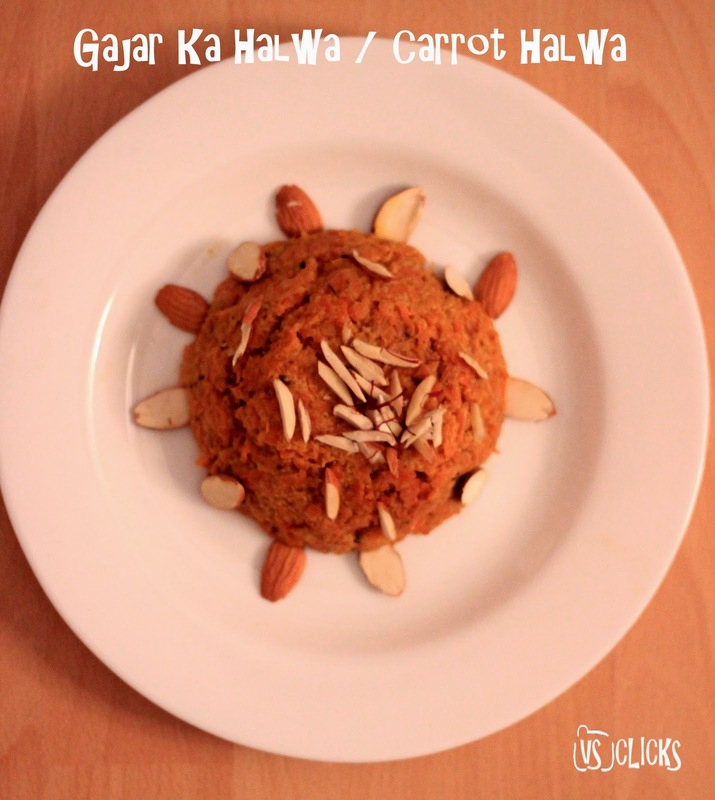 Vinayaka's Kitchen: Gajar Ka Halwa - Carrot Halwa - Sweet - How-to? 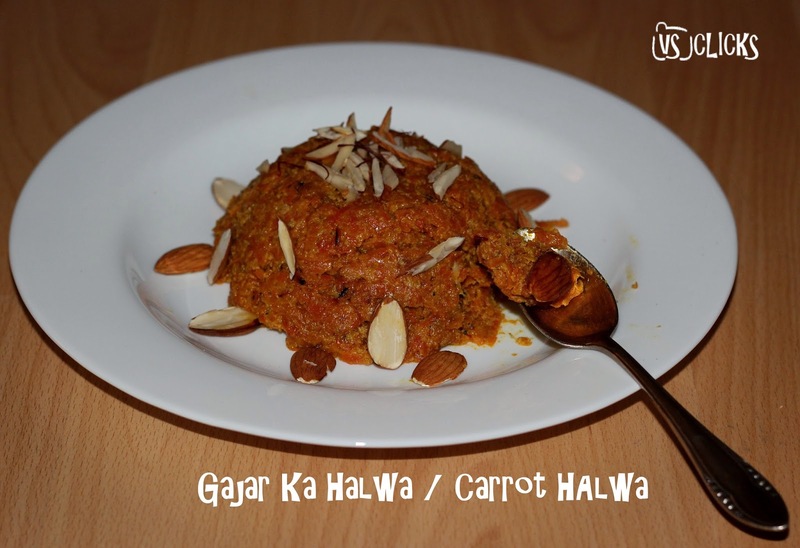 Gajar Ka Halwa - Carrot Halwa - Sweet - How-to? 1. Take 4-5 carrots and wash it thoroughly in cold water. Peel off the skin with the help of a peeler. 2. Grate the carrot finely using grater (If you special one is nearby, make it to a shape which would make him/her amused). Take 2 cups of milk and 1/2 inch of saffron and keep it aside. Slice Almonds into two pieces. 3. Heat up the pan first and then add 3 tbsp of ghee to it. Add grated carrot and sauté it for 4 to 5 mins till the raw smell is off and the color changes to light orange. Then add the milk and stir for 5 mins. Add sugar and saffron quickly. Stir it gently until the moisture evaporates and the ghee will come up separately. 5. Serve it hot in a plate or bowl. Decorate as you wish with almonds or any nuts of your choice. #DoYouKnow: Gajar Ka Halwa is a sweet dessert pudding associated mainly with the state of Punjab in India & Pakistan. It's easy to cook sweet and tastes heavenly. Note: This dish was certified by my hubby and was given 9 out 10 marks by him and his friends. Try it out and you are welcome to post the pics here. Gazar ka halwa looks so tempting...Yum! Thank you Chotti !!! Please try it out and let us know your feedback. Mouth watering!!!! Keep going.. Make sure to prepare me next time we meet. Thank you so much for the wonderful compliments!! !